Following the launch of the Support Overdue (2017) report on 17 January, NFWI-Wales is calling on the Welsh Government to increase investment in maternity services and to take steps to ensure the midwifery workforce is sustained at an adequate level. We want to see the Welsh Government and health boards prioritise maternity services and ensure that midwives are supported to stay in the profession and provide the high quality care that women and their families deserve and rely on. 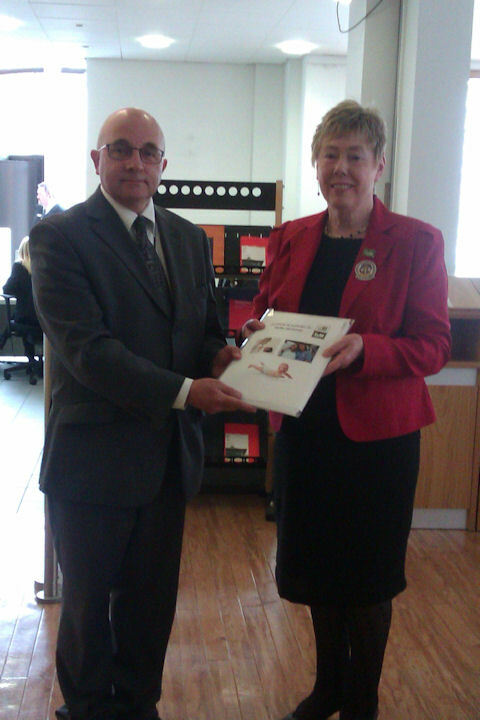 On 29 April 2013, NFWI-Wales Chair Margaret Lloyd Jones presented the midwives petition signed by 1,532 members from across Wales to Peter Greening, the Welsh Government's Cabinet Secretary. This was followed by a meeting with the Minister for Health and Social Services, Mark Drakeford AM to discuss the More Midwives campaign and to share the key findings from the recent report Support Overdue: Women's Experiences of Maternity Services launched by the NFWI and the NCT.